The Bicycle Friendly Community Award Program provides incentives, hands-on assistance, and award recognition for communities that actively support cycling. Communities are required to complete a thorough application process and are judged in five categories – engineering, education, encouragement, enforcement, and evaluation and planning. A community must demonstrate achievements in each of the five categories in order to be considered for recognition. 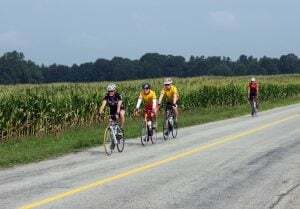 Norfolk County has become a premiere destination for cyclists in southern Ontario in recent years, many of whom attend the annual Tour de Norfolk each July. The municipality has also improved area trails, encourages new businesses to install bike racks for patrons and staff, welcomes bikes on board Ride Norfolk buses, and includes “share the road” signage in all planned capital projects.